Pontiac GTO - The first time the 5th Gen Camaro appeared? 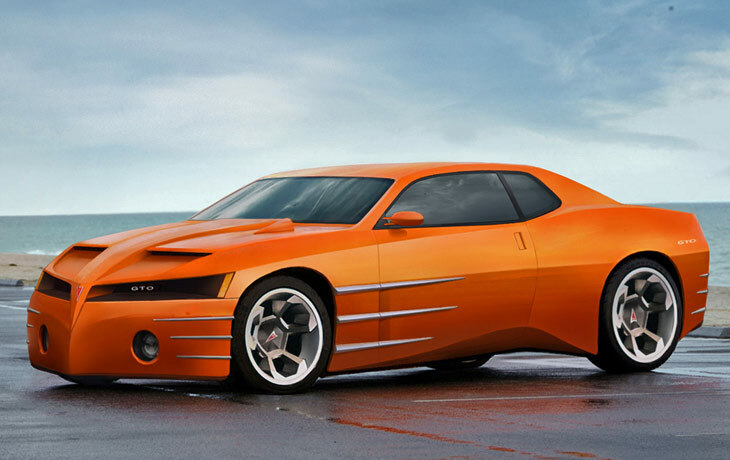 The Pontiac GTO concept car which was introduced at the 1999 Detroit Auto show was a revival of the Iconic '60s and '70s Pontiac GTO muscle cars. 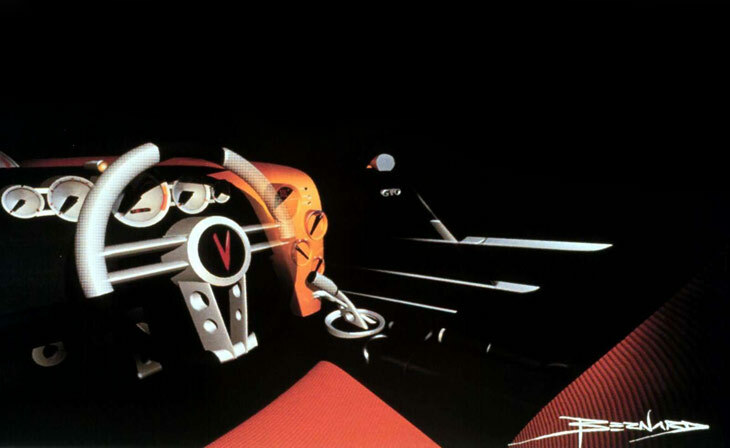 Interestingly the GTO has a tachometer mounted in the bonnet facing the driver, even though it was never fitted with a functioning drivetrain. 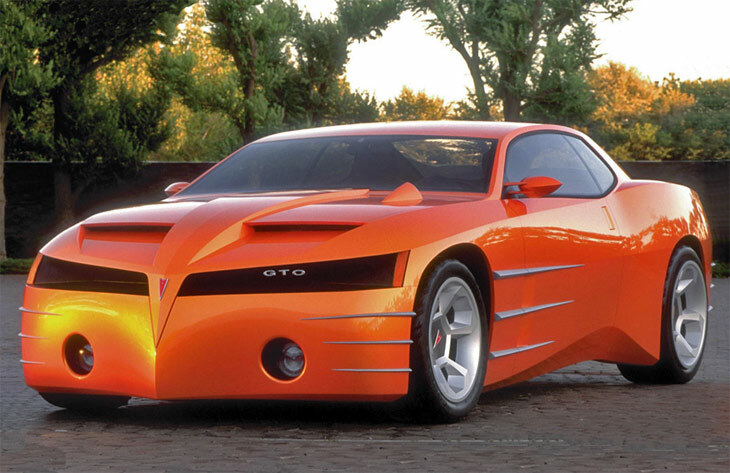 The GTO concept rides on 19-inch diameter front wheels and 20-inch rear wheels. 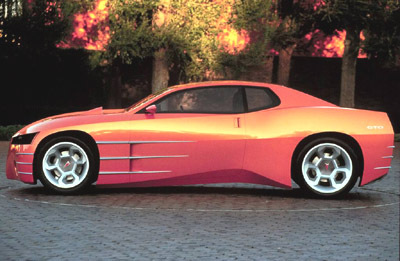 The production GTO of 2004 which is based around the Holden Monaro shares little or nothing with this 1999 concept. 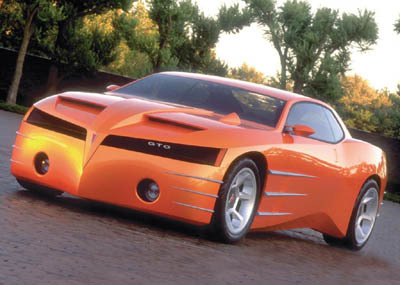 While the Pontiac GTO concept never made it to production, its retro-inspired styling is vaguely similar to the 5th generation Camaro which appeared just a few years later.